My many thanks to Mysterious Press for the copy that showed up at my door. There are six stories in this rather dark collection, and once again the author has focused on human horrors rather than anything supernatural. While I admit I wasn't overly in love with each and every story in this book, I will say that the author's ability to create atmosphere continues here as it does in most of her short-story collections. If you've read her work in the past, you know exactly what I mean. As usual, she delves deeply into the human psyche to examine an odd collection of disturbed minds, and in some cases goes on to examine the effects on the unsuspecting (or in one case, overly suspicious) people falling within their orbit. Trust me, the results are not at all pretty -- some minds are just freakin' deranged here, and belong to people you'd much rather avoid. 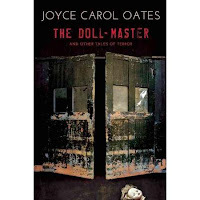 I won't go into any great detail, subject or thematic so as not to wreck things, but the six stories in this book start with the titular tale, "The Doll-Master," a story that whets the reader's appetite for more. While I wasn't chilled to the marrow by this one, it made for a good opener, since here she goes into what exactly it is that might make a serial killer tick, given his past,starting a path for Oates' examination of deranged minds. The next story, "Soldier," is also very dark, hitting on current and relevant issues as we're asked to try and understand why a racist is turned into a model soldier of his cause. This one really bothered me precisely because of today's racist climate in this country, and the growing and widespread acceptance that racism should become the status quo. She nailed this one. Moving along, not a fan of "Gun Accident," which like "Equatorial," the next story, could have actually been more suspenseful had it been shorter and had it actually got to the "terror" more quickly. Instead, I found both too long, killing any horror or chills I might have otherwise gleaned. By the time I got through "Equatorial," I didn't care what was going to happen at that point. "Gun Accident" looks at the aftermath of a single night in a woman's life, while "Equatorial" follows the story of a woman who is either very paranoid, or who is sure that she's in some kind of danger. These are followed by "Big Momma," the ending of which I saw coming from a mile away. There is one excellent story in this book, though, a little gem called "Mystery, Inc.," which follows a conversation between two book lovers who have big surprises for each other. That one I really, really liked -- my favorite story of the six. To me it's much more of a book where predators tend to play with their prey before pouncing; I think had she not given the subtitle the moniker of "and Other Tales of Terror," I may have approached it differently. I was expecting to have hackles on my neck, but I think that with all of the dark fiction reading I do, it's starting to take more and more to actually terrify. Another thing -- to me, the best short fiction gets the reader coated in atmosphere immediately, starts the uneasiness rolling as you realize that something's just a wee bit off kilter, and then finally moves in for the big shockaroonie. Nothing too drawn out, just pure and simple bam! This process didn't really happen here for me, but people are really enjoying this book, so once again it's probably just a matter of my expectations when I see the word "terror" in a title. 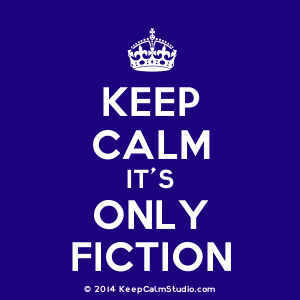 So my verdict -- like any other collection of short fiction, it's a bit hit and miss. But when she hits, she hits big time for sure. I like her, when I can tolerate the dark and macabre elements of her novels and short stories. She is local to me, and taught at a community college not far from where I live. I studied her in college and read her for pleasure, but she immerses herself in the tragic and often misguided parts of humanity. Perhaps, her physical ailment played a role. She seems to understand the human mind and heart. I loved "Where are you Going and Where Have you Been?" I also read many of her Rosamond Pilcher ( I think that's one of her pen names. Thanks, Nancy. Would you like my copy, Skye? I always share the arc books I get. I think maybe you mean not Rosamund Pilcher, but rather Rosamond Smith.